These hyperlinks are electronic connections to other sites that may hold valuable information regarding natural resource conservation in South Carolina. We encourage you to contact the Darlington Soil and Water Conservation District with any questions you may have regarding local conservation issues. Our contact information is at the very bottom of each page of this web site. The state agency responsible for natural resource management. Phone 803-737-0800 for the Land, Water, and Conservation Division which is the state's coordinating Partner with the Darlington District. DNR provides the server that makes this web page available. Click on the name to go to this site. The federal agency which provides the technical support to the District's program of assistance to the public. 96 RC&D and the Grasslands program are also part of this partnership. Click on the name to go to this site. This agencies county office is located next door to the NRCS office in Room 234 of the Mozingo Darlington, SC. Direct access to County Government contacts. The Commission's site contains valuable information and links related to forestry and forest management issues as well as information on Project Learning Tree (PLT) and the SC Envirothon. Click on their name to visit their site. The state's Cooperative Extension Service has many valuable services available. Click on their name above to visit their site and see what they have to offer. 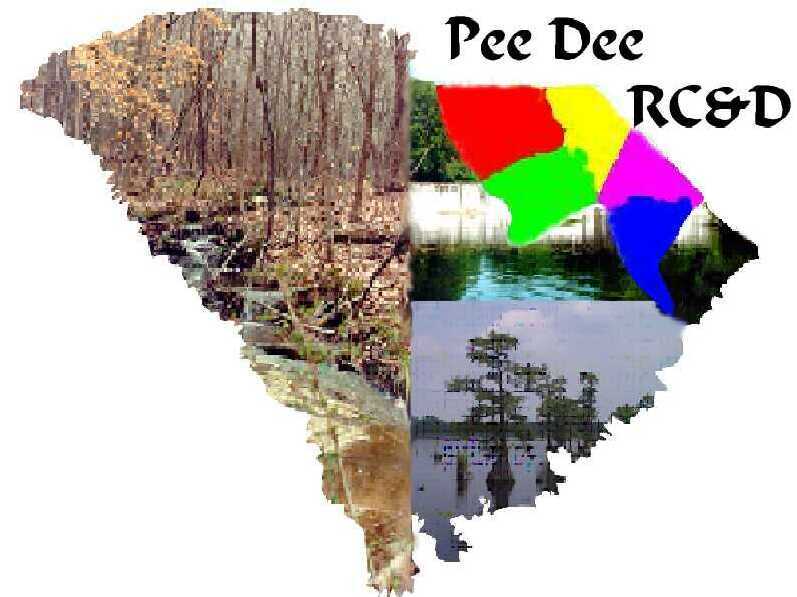 The Pee Dee R&E Center is located near the county line with Florence County on Pocket Road. The office is located upstairs in the Mozingo Building in Darlington. This organization is co-located with the Pee Dee RC&D Council. Located in the County Office Complex off the square in downtown Darlington. They have tax maps, infared red maps, and ownership records. Another local organization that promotes soil and water conservation. This organization is on a national level and is the grassroots enty that promotes soil and water conservation issues. Local site to get assistance with permits and wetlands. Organization that permits animal operations. Explore the resources of one of our partners in environmental education. This site contains numerous valuable links to other environmental sites. Click on the name above to go directly to their site.